So you want to have some friends over for some drinks, but you don’t want the stress of putting it all together? Or you don’t want to have the same old thing at your house that everyone else has at theirs? 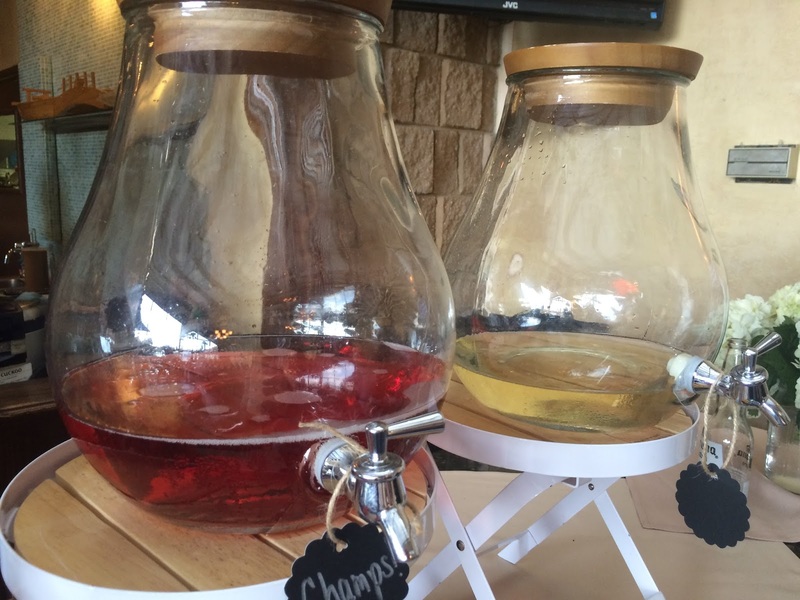 At a party recently, I spied some pretty cool ideas that were pretty simple, yet fun and different. I thought I’d share them with you. 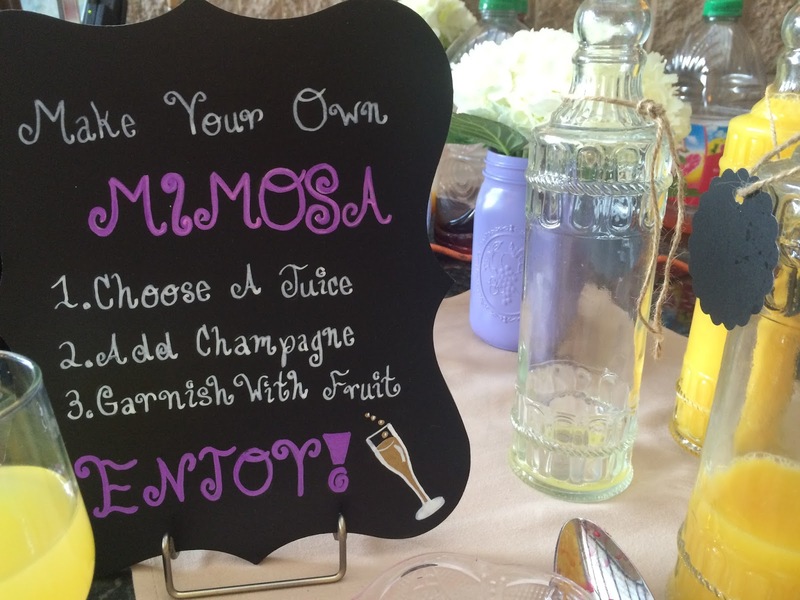 Make your own mimosa instructions. Use any fresh fruit you like for garnish. 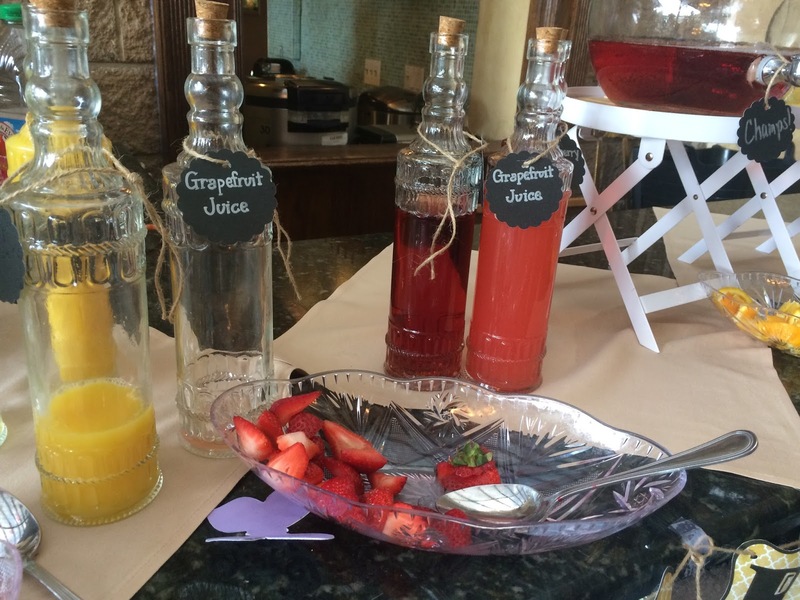 I thought the make-your-own mimosa bar was a cute idea and so easy. Also, you don’t have to deal with making drinks during the party. It’s completely self serve yet something a little bit different than the standard line-up of wine bottles. Set this up and you’re done. Onto the next idea… Jenga anyone? I loved the Jenga in a jar idea as well. Sitting on a table at the party was a jar of Jenga pieces and some markers. 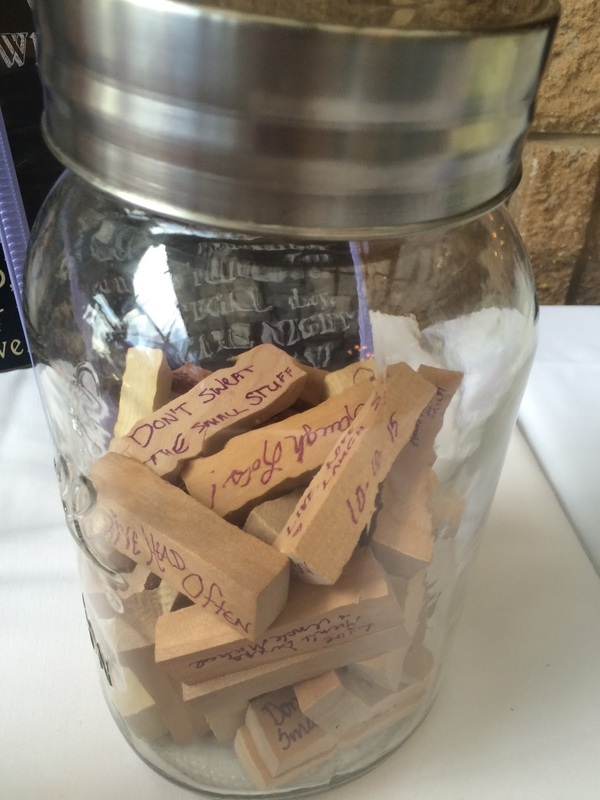 Guests took a wooden piece of the Jenga puzzle and wrote a message on it for the honoree. The message could be a piece of advice, something funny or just a good wish. Then the personalized Jenga game becomes a gift and also a great memory for the party’s honoree. This is a great idea for an anniversary or birthday party, as well as a shower/engagement or retirement party. A wine basket like no other! If you’re in need of a gift to bring to a party but want to give something different, this is a fantastic idea that proves you are a guest who goes the extra mile! 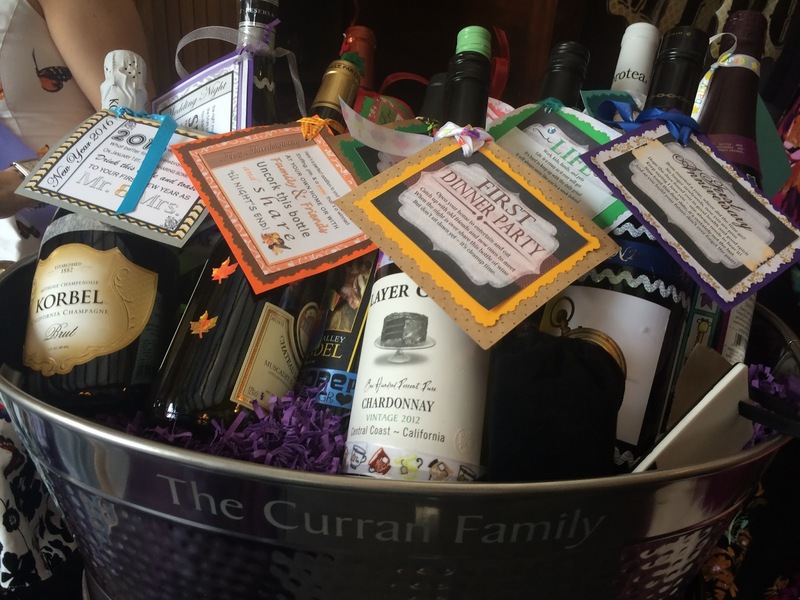 Purchase an attractive basket or container and fill it with wine bottles but (and here’s the thoughtful part) mark each bottle with a tag or label stating when the recipient is to drink that particular bottle. You could make the messages funny (To drink if you ever get a hole-in-one) or thoughtful (To enjoy on your next anniversary or Open on Valentine’s Day). You could put as many or as few bottles in as you’d like. The basket I saw had a year’s worth of wine in it (12 bottles- one per month) with a cute message written on each bottle. Who wouldn’t love to receive this gift? Hope I’ve given you some new and interesting ideas for your next gathering. Cheers!